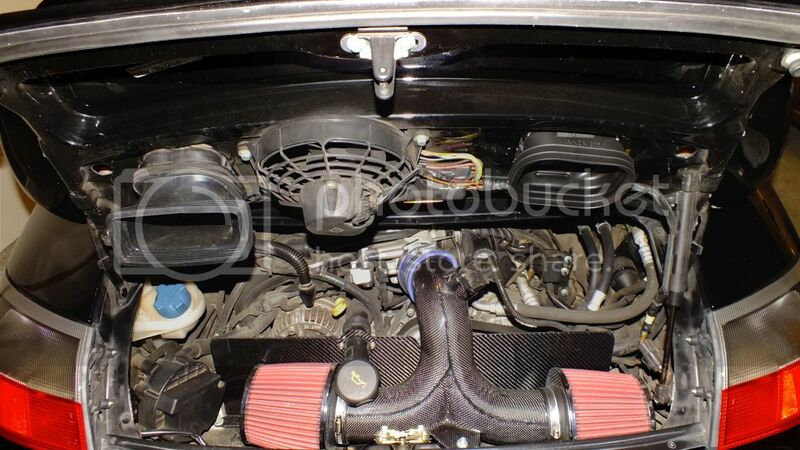 Fabspeed: any news on the dual intake for 997.1? Realise that Joel, but needed to sort my upgrades and as there didn't seem any progress on the sealed unit I went ahead with the twin cone set up, which I'm pretty happy with. I may be wrong..but the lid above the right filter isn't cut out...so are you sucking hot air from the engine there...since ther is not fresh air coming in there? Defeats the dual cones. Where did you get the double intake from in uk? Car goes in for new front splitter and rear spoiler and to have the engine lid sorted with a second cut out shortly. Got the kit from Porscheshop (who are not overly great at customer service, but were the obly supplier). Maybe because there's no reason (volume wise) for multiple vendors to sell the same item. It's already available from EurocupGT.com. I bought mine from them months ago. It's great. So, why wait for FabSpeed or anyone else when it's already available? Did you cut the second inlet in the lid or is it a turbo lid? Did you see an improvement in performance? I have the single CAI....the sound is sweet around 4k and up.....how does the dual unit sound?? So Joel.....let me get this straight......you are looking for a sealed enclosure!!! The write up is in the 996 section as we've been discussing this for months. This car's a beast so I don't think I saw much difference in sound ( not what it's for), overall performance is similar, yes I cut the second inlet and ordered the rubber part from Porsche. Great look and it should breathe better. Outstanding equipment. Europe has many accessories that we don't here. yep... or something like that! Hey guys, sorry for the delay and to keep you waiting. We just moved into our new facility in Fort Washington PA so its been a little struggle getting back into flow with things. But we are very interested in doing and I have a great customer with a 996 and 997 who will be dropping there cars off sometime toward the end of August to have this project done. I will keep everyone updated on the forums and provide plenty of Data with HP, Photos, Video, 3D drawings and Flow tests. I look forward to getting it done and offering it for all 996 and 997.1 cars. Thanks again and I hope to start a post about it soon. thank you Alex. been looking forward to this for years! 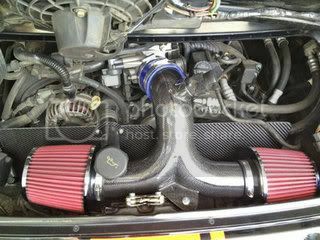 Quick Reply: Fabspeed: any news on the dual intake for 997.1?